Damian Lillard has been one of Adidas' flag bearers in the basketball industry. He had been rocking the Drose line and holding the fort when Derrick Rose was hurdled with injuries and his presence has been seen as well during the Crazyquick and Crazylight campaign last season. 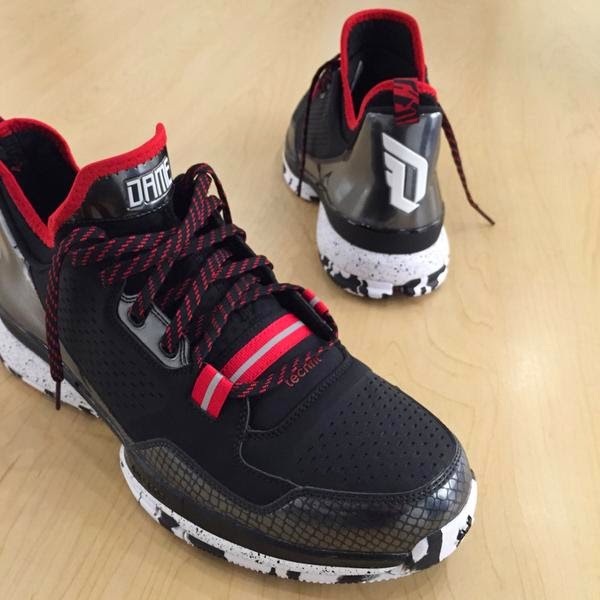 Next year, we can finally see Lillard's first signature shoe with Adidas. The tech specs are not specified yet but from the image above, it looks like techfit is used in the inner bootie since the shoe has a low cut. If I were to guess on the cushion, I think adiprene+ will be used though I'm not really sure. Stay tuned to Analykix for more news regarding this model in the future. You can also follow him on Twitter as well for more news since he is the one who posted this image.